Enough violence. Let's watch something cosy. 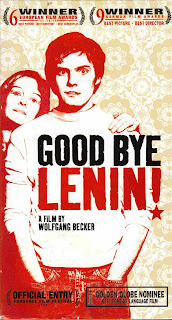 Good Bye Lenin is a cute and clever and funny and moving piece of perfect filmmaking, which almost rivals that of Amélie. Indeed, the same person composed the soundtrack to both films with such perfection, it's difficult to say which score is most beautiful. 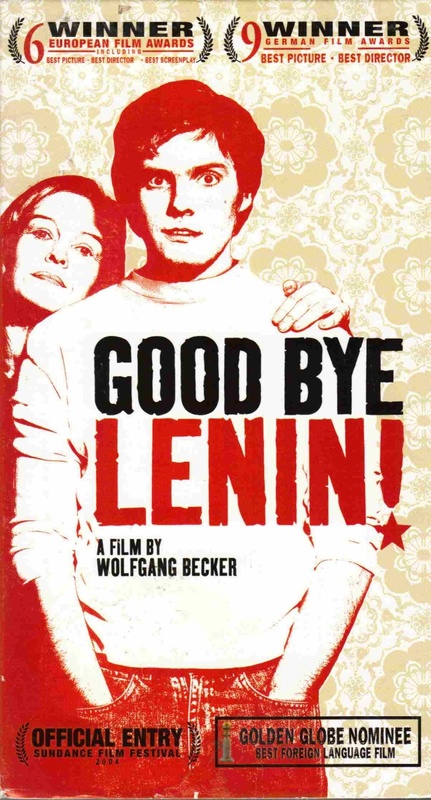 You might also see similarities to Roberto Benigni's masterpiece Life is Beautiful, in that Good Bye Lenin also draws its humor from a rather unusual theme: East Berlin before the wall fell. While the acting, camerawork and music all are outstanding, it's the screenwriting that impressed me the most. The script plays with various themes effortlessly, drawing ideas back and forth with such perfect timing, that it seems the writer basically invented the art. And that's all I will tell you. I made a big mistake of watching the trailer before seeing the actual film. Although it did make me want to see it, it was also littered with spoilers which ruined a lot of funny moments (like always) when I saw the full movie.